Among all the Mexican restaurants in Austin, you come to expect the standards: chips and salsa, rice, beans, enchiladas, fajitas and frosty margaritas. So when Carlos Santana opens up a Mexican restaurant, what can you expect? 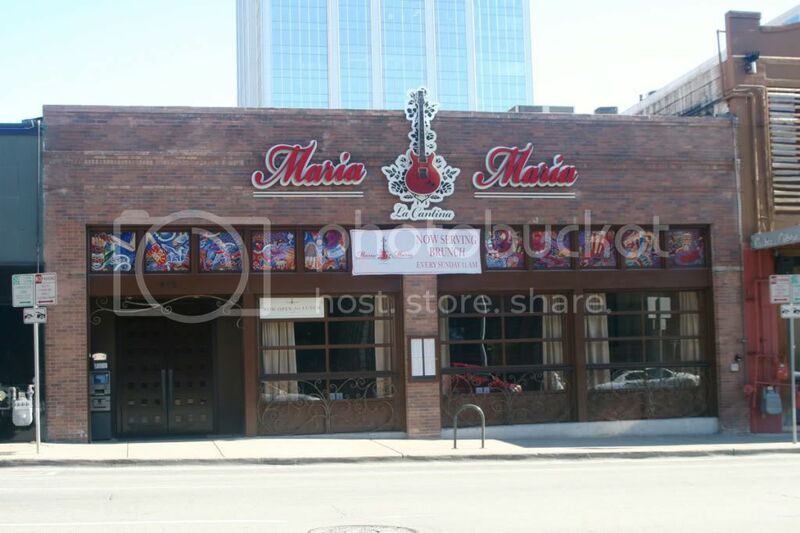 Austinites have been tasting the results since his Maria Maria restaurant opened in the Warehouse District in October. The fourth in the brand of restaurants named after the signature Santana song, Maria Maria features a menu created by former Fonda San Miguel chef Roberto Santibanez who specializes in interior Mexican food. As Maria Maria sous chef Louis Cantu says difference lies with the chiles. The restaurant uses the chiles common to central Mexico: chile arbol, negra pasilla, chile ancho, to name a few. These dried chiles are rehydrated and infused in the dishes to give each entree a smoky flavor. “Mom’s kitchen definitely doesn’t have this stuff,” Louis says, when comparing Maria Maria’s fare to more familiar Mexican style food he had while growing up. He added even the act of making beans and rice is different. Chef Santibanez’s expertise in Nuevo Mexican food shows shows in the menu, featuring signature dishes such as slow-braised duck tacos covered with a roasted tomato-habanero cream sauce and a chicken and mole tortilla casserole. Louis explains all this to me while we sit at the bar. I’ve got four dishes in front of me and he points out all the nuances that form each dish. My fork has dug into chicken enchiladas topped with a roasted tomatillo-pasilla sauce, topped with black beans, diced carrots, red onions, cilantro and cotija cheese, the chicken flautas with crema and cotija cheese, the pork carnitas braised for two-hours and served with a black bean sauce and tomatillo salsa verde. And for dessert, the house favorite key-lime pie topped with vanilla whipped cream and candied pecans. Familiar dishes to be sure, and what stands out is presentation. The entrees placed just so, the sauces drizzled with flair. But as Louis add, the attention to detail starts in the kitchen. Chef Santibanez spent a week in Austin training the kitchen staff on all the dishes, watching that the staff cooked the chiles just so. That sort of consistency in the menu ensures that if I were to step into any Maria Maria (there are three other locations, two in California and one in Tempe, Arizona) and tasted the above dishes, I’d experience some food deja vu. 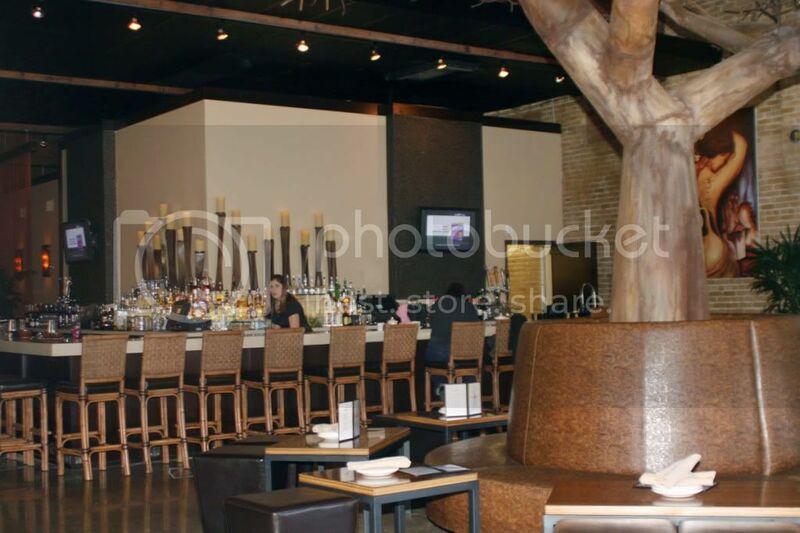 Tre’s an Austin native and previously did the marketing and public relations for Joe DiMaggio’s located in the Domain. Both restaurants are under the DSE Corporation. By the time Tre tells me this, I’m sitting on the low, brown leather like ottoman seats across from him. In fact, the whole restaurant has this simple decor, low tables, all elegantly rustic. 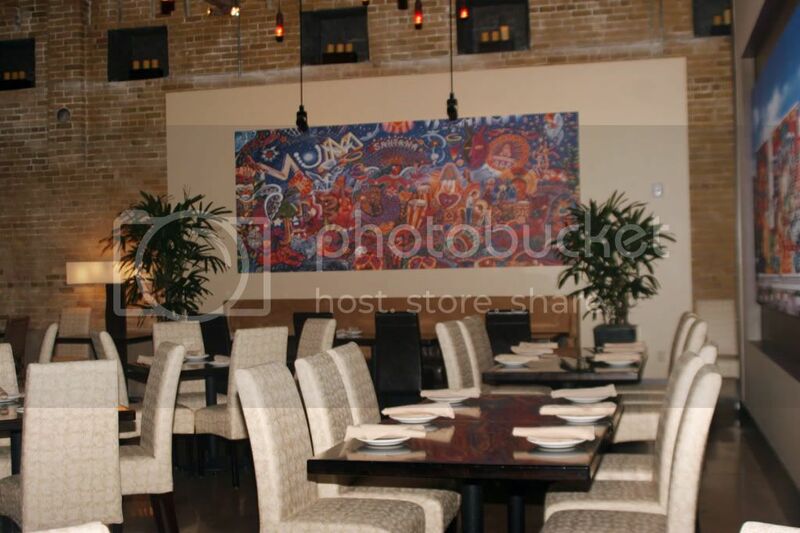 Decor, Tre says, is one thing that will change when it comes to the Maria Maria restaurants. For Austin, the exposed brick, open wood beams and the downtown Colorado Street location made it easy palette for a modern Mexican restaurant. Splashes of color come in the bold art hanging from the walls. Tre says Carlos Santana was extremely involved in the details. Speaking of music. 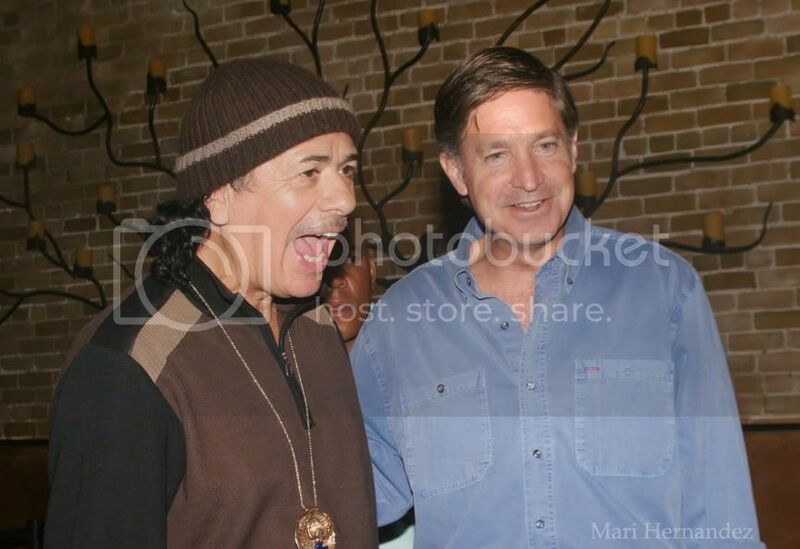 Don’t expect to hear a Santana best of while dining at Maria Maria, Santana wanted none of that. But you could get a sense of what Santan’s ipod could look like as the restaurants play artists that have inspired him or been inspired by him. Live music is a must, Tre says, it’s part of the Maria Maria brand. Live music plays Thursday through Saturday nights from 7-11 and you can hear a bit of everything, from local Latin rock band Cien Fuegos to more acoustic, lounge type music.